What is going on, everybody? We are super excited to start our special podcast series where we’ll be giving y’all the juicy details of who we are, where we started, what and how it happened. An author is writing a book about our story and part of that process is recording our story on audio for her to listen to in an interview style format. So, Jocelyn and I were sitting here recording, and thought how this would be a great opportunity to fill in the gaps for everyone listening to our podcast. We want to share our story with you, how two normal people from really, really small rural communities in Kentucky went through life, learned about online business, and ended up creating this amazing life that we didn’t even know existed a few years ago, and just let you guys in on that. Walk this journey with us, listen to our story, let it inspire you, and know that you can do this too. Shane: Jocelyn was in the band. Jocelyn: I was actually a color guard. Shane: It’s the band. Jocelyn: But I didn’t play an instrument. Shane: It’s the band. Jocelyn: … Shane: Nothing wrong with the band, I’m cool with the band! Jocelyn is obsessed with computers, and she started with this early 90s computer with 4 MB of RAM & a 256 MB hard drive. 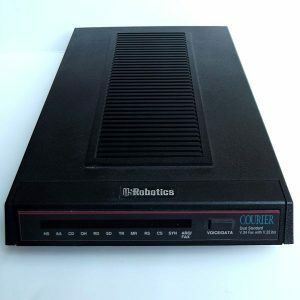 Here’s an example image and what a 2,400 baud modem looks like. This is waaaaaay before Facebook y’all! Don’t judge me! I was the IN thing back in the day! 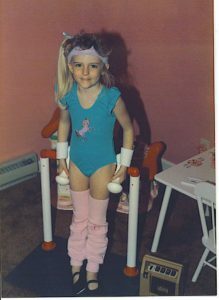 I was pretty rad, myself! You young’uns and your fancy, highspeed internet upgrades! Although we’re saving the college days story for next week, here’s a picture of what “Ethel” looked like. What is going on, everybody? 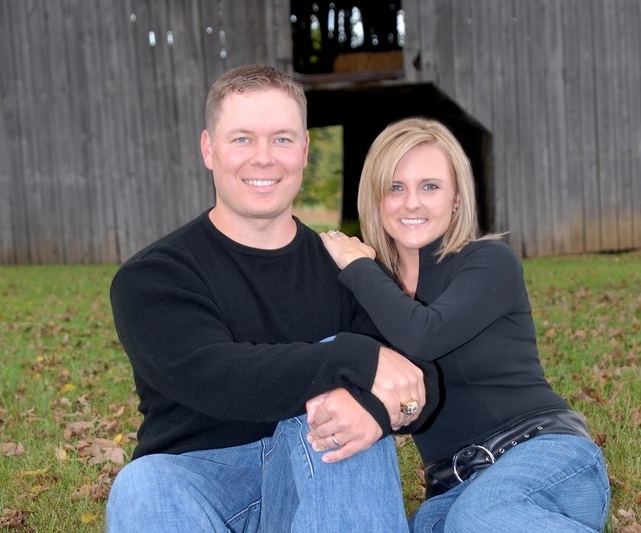 This is Shane and Jocelyn here, flippedlifestyle.com, super excited to be back with you for another podcast today. 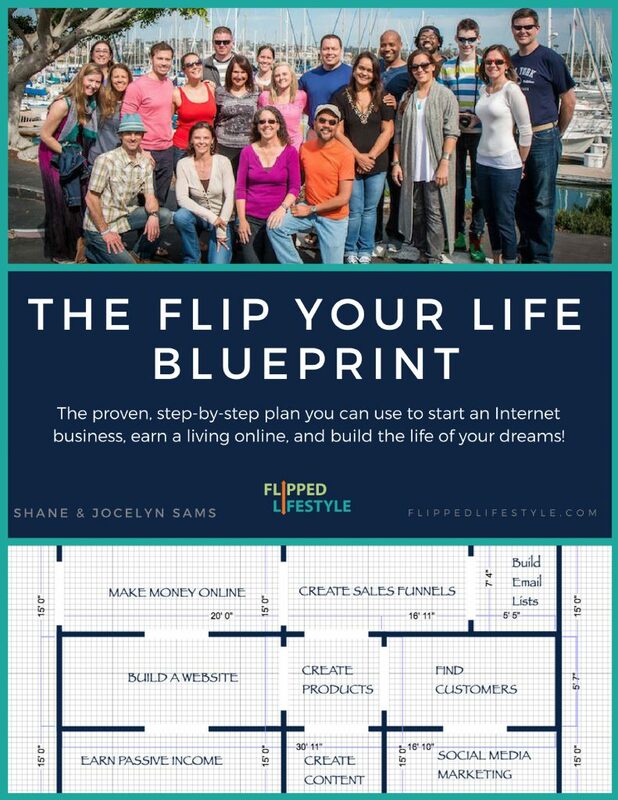 This one’s going to be a little different than our normal podcast where we’re helping our people take their online business to the next level, members of our Flip Your Life community. Jocelyn and I actually are having a book written about us. An author is writing a book about our story and a part of that process is we are recording our story on audio for her to listen to, to go through, kind of like in an interview style format. Jocelyn and I were sitting here recording, and we thought, man, what a great opportunity to fill in the gaps and a lot of you listen to our podcast for online business advice and things like that. But what a great opportunity to share our story with you, how, basically, two normal people from really, really small rural communities in Kentucky over a period of time– we went through our careers, we learned about online business, and we ended up creating this amazing life that we didn’t even know existed a few years ago, and maybe just let you guys in on that, and let you walk that journey with us, listen to it, and listen to our story, let it inspire you, and let you know that you can do this, too. Jocelyn: Today, we are starting out with our early life. A lot of you guys have listened to us on other podcasts and you’ve heard a lot of our story from the past five years, but what you really don’t know is more about us from the past 35 years or more. Shane: That dated us, Jocelyn, you totally had dated us right there. What we’re going to do is we’re going to release these every week as we record them and we’re going to let them roll out, and this is going to be our story, our journey how we got to where we are, literally, right now today from A to Z. We’re going to look back and connect the dots. We were writing an outline for today’s podcast and it’s mind blowing when we were reading it. We both just stopped, and we’re like, “This doesn’t even sound real, it doesn’t even sound possible,” like, it’s incredible when you see looking back with 20/20 hindsight how all of the dots aligned and everything, and all the puzzle pieces came together. 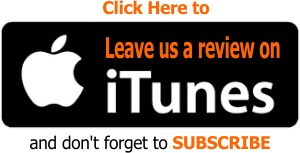 What we want you to do is listen to these podcasts. You are going to get a ton of information out of them that is going to help you succeed in your journey, too, and it’s going to help you see those dots in your own life, and see how you have all the puzzle pieces right in front of you, and you just have to move them around and connect them together. Alright, so we’re going to jump right into it. You want to start? Shane: So, this is like those board games we play with Anna Jo and she gets really upset if it’s the youngest person first to the oldest person first, so I think we have opened the box to a board game where the oldest guy in the room gets to start off the deals. My story basically starts in a really, really small-town in Southeast Kentucky. Very much a coal town, we’re a railroad town, we have a depot here and basically all the coal that comes through the mountains of eastern Kentucky comes through my little town. That was kind of the industry: the railroad, the coal miners, we had less than 5,000 people in my town as we were growing up. Really, just a very rural childhood. I lived in the city limits, what we call a city– it’s not really a city. But I lived inside the city limits. I didn’t live out in the country, but a very rural upbringing, not anything remotely related to technology or big business or anything like that. Jocelyn: Or maybe at the hospital. Shane: Or maybe at the hospital. Yeah, things like that. That’s the kind of jobs that we would have around here. I’m actually the 4th of five boys. My parents have five kids, huge age differences between us. My oldest brother is 19 years older than me. I’ve got another brother that is 18 years older than me, and then there was a gap between the middle of all five of us. The next brother up was nine years older than me, and that I have a little brother who is about three and half years younger than me. Huge span of children in my family, and lots of different age groups. It was kind of weird because when I was born, two of my brothers were not even in the house and one of them was in college. When I was nine years old, he’d moved off. By the time I could remember things and I was a kid, three of my brothers were gone, so it was kind of like I was the oldest, it’s me and my little brother. It was just a bizarre kind of family dynamic and that. Jocelyn: I actually grew up in a small town in Western Kentucky, very flatland. Shane: Still a coal mine in place though. It’s a big coal mine place. Jocelyn: Definitely, coal mining is the major industry there. I was born in 1980. Shane: Oh, yeah, I was born in 1978. A child of the 70s. Jocelyn: — Went out at breakfast time, and came in at dinnertime but it is just what we did. I spent a lot of time outside and a lot of time playing. No iPads or technology at that time. I feel very fortunate to have grown up in a time like that. Shane: It is pretty cool. I think we had similar childhoods growing up because we both grew up in very traditional Southern-type towns, went to church on Sundays, hung out with the neighbors, both of our mom stayed home while our dads worked. It was just like good, slow-paced, southern life before the Internet, before we had all this technology and stuff. My dad worked really hard, too. He was an insurance agent. He had his little independent office where he sold auto insurance. Had his own business. It was kind of cool I think that was maybe where the seeds of entrepreneurship kind of were born in me because I can remember my dad telling me about jobs he had had. Used to drive to Chicago from Kentucky to work in the steel mills during the week and they would drive back to Kentucky. This was before the interstates, basically, were really in place. He would come back on the weekends to come down here and he always told me about these grocery stores or restaurants or places he worked. Jocelyn: And he would sleep in the steel mills. Jocelyn: He’s told us about this before. They would drive up there to Chicago, they would sleep in the steel mill, and then they would drive home to Kentucky on the weekends. Shane: Yup, they’d work there all day, sleep under the boilers at night where it was warm, and then they would get up and work, and they would come home, after they just did that. But I would remember that because he would always tell me growing up, I was like, “Well, dad, why do you do this? Everybody else has a job, what are you doing?” He goes, “Well, I just decided that I would rather be broke and work for myself, and have my time freedom and be able to go to your ball games,” or something like that. That always kind of stuck with me a little bit, and he just said he had worked for other people and he decided it was just better through the ups and downs that they could go at it on his own. That is what he did. Jocelyn: He’s made it a long time. He is still there today. Jocelyn: Still doing very well. Shane: He’s 77 years old, and he’s still going in every day. He loves what he does. Other than that, he was just very traditional. Grow up, go to ballgames, played baseball in the summer, played basketball in the fall or in the winter, play a little football in the fall. We never really traveled much or did anything. I didn’t really know of a lot about I guess the rest of the world other than what you saw on TV or something. Really, until I went to college, the farthest we ever really drove was maybe up to Lexington Kentucky or down to Knoxville. That was the big city for me, 250,000 people that was my New York, I guess, growing up. I did not even fly on an airplane until I was in my 20s. Just a very small-town, sheltered kind of life. Jocelyn: My dad was a cable engineer. He has been doing that for a very long time. Shane: He was the cable guy. Climbing poles, and hooking up cable systems and all that good stuff. Jocelyn: My dad, he is super hard working person. Just something I really respect about him for sure. I can remember that he always worked extra jobs. He was an engineer, super smart guy. People would hire him to do things on the side. I remember he installed satellite dishes and he worked with a guy who did audiovisual type things for a while. I could remember going places with him sometimes at night like when he would install somebody’s satellite or something like that, that would be how we would spend time together a lot of times. I remember those types of things as I was growing up. My mom, she helped us do everything. She helped us with our homework when we came home, make sure we were reading, which really wasn’t a problem for us because we loved to read. Shane: But she probably helped you learn that. Jocelyn: Oh, of course, she would always work with us and make sure that we had everything we needed for school and take care of all the grocery shopping, and the cooking it, the cleaning and all those types of things that had to be done. My parents, great people, really appreciate everything that they’ve done for me growing up. We also did not travel a whole lot. We would go to the surrounding larger towns which in Western Kentucky are not very large. Shane: There is like, two of them. Shane: Bowling Green yeah, that is about it. Jocelyn: Owensboro, we would go places like that. We would do that. We didn’t get to take a lot of vacations, far away. We, instead, would go camping. Those are some my fondest memories growing up. We started out tent camping. We had a boat so we would take it on the lake and we eventually were able to get a camper, which was awesome. We had an old black-and-white TV. Shane: Was it like a pop-up camper? Jocelyn: No, it was a regular camper. Shane: That little square thing you hook up to the truck kind of deal? Jocelyn: It was orange and white, I remember that. We would pull it with this old green and white truck; we called it Alice. Shane: I think it was the 80s, so weren’t all campers orange and white back then with the big stripe? Jocelyn: Yeah, probably, I don’t know. But we would take our camper down to the lake. We would go out and ride in a boat, those were some of my most fun memories growing up. I could just remember going to the campgrounds, we would go to the pool. We would swim in the lake. I was saying we had an old black-and-white TV in the camper, and we thought that was the greatest thing ever because there was no Internet, there was nothing back in the 80s and before when we were tent camping, we just had our books which was awesome, but then when we had this black-and-white TV, we were really high-tech. Shane: High-tech, all three channels that you picked up on the airwaves. 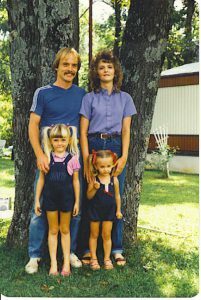 Our upbringing was kind of cool because I would never say we were poor-poor like we were farming for our food or anything. We were middle class. We just did not have a ton of stuff. I grew up in a two-bedroom, one bath house. We, finally, when I was in high school, I think my sophomore year in high school, maybe my freshman year, we built onto our house, and it was the first time I actually got my own room because I had to share a room with my little brother. But I did get to see our parents as I grew up, they worked so hard, and they built on to their life. I saw the value of how working hard works. My dad had this little bitty office that was seriously– how big do you think that building is? It couldn’t be 15 x 15, maybe? It was really tiny. Had this little bitty, tiny office, and for the first 10 years of my life, I could remember going out into that little office after school. My dad would put my Legos up on the shelves. I loved going into his office, but it was this little bitty room. It was probably about as big as the room we are in right now in our house. I can remember when he upgraded to this bigger space, this bigger office, and I thought, “Man, that was the coolest thing ever,” because you could see the fruits of his labor. I remember when we built onto our house, basically my five brothers and their families and everybody came over to this little, bitty, tiny house. We actually had this room we call the back porch. There used to be a back porch on it, and my that mom and dad built walls and made it like a sunroom. We kind of took it over as the kid room because it was extra space, then we closed in the area that was between the patio in the garage, this big living room. I got a room on the back, and it was cool watching that progression of, we started with very little, and as I got older, things got better because they worked so hard. I think it was cool that I didn’t necessarily have everything growing up that I wanted, but we always had our needs met, and I got to see my parents build a life, and I think that that definitely had an impact on the stuff that we are doing now. Jocelyn: I definitely had a similar situation. When my mom and dad started, like you said they were super young. I can’t even imagine my life right now, just the way they had started out versus the way I started out. It is crazy, but they started out, in a trailer, just in the middle of nowhere. Shane: Stereotypical Kentucky trailer kind of deal. Jocelyn: Yeah, not too much after that, they were able to get a house. They, later, built a house. Shane: And when we say built a house, Jocelyn’s dad literally poured the concrete, hammered the wood, put on the roof, pretty much built the house the they have now by hand in his spare time, when he wasn’t being a cable guy. Jocelyn: Yeah, and they’ve done a great job. 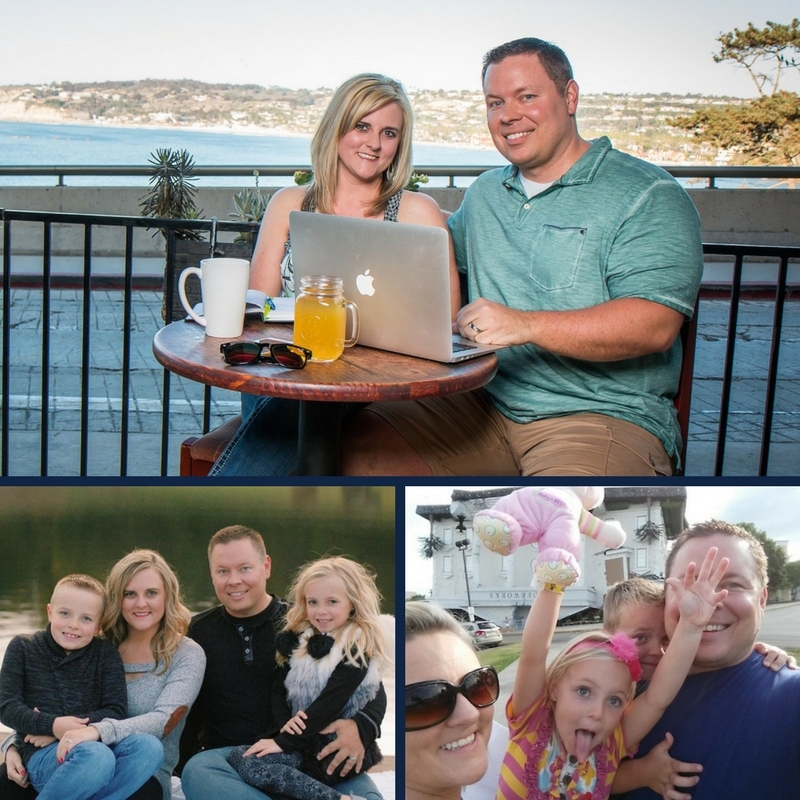 They’ve built on what they had, the same as Shane’s dad’s insurance agency, and today their life as much different than it was when they started out. It is awesome to be able to have been part of all the transformation. Shane: There is a great book called out ‘Outliers’ were it talks about people who took advantage of their unfair advantages. You have the guys like Bill Gates or Steve Jobs. Bill Gates, his unfair advantage was he was born into a wealthy family. There were only three or four computers in the 60s all around the country. His high school or his school something had access to one of these supercomputers, so he got to learn it early. I think, if I remember the book correctly, Steve Jobs, he lived down the street from Hewlett-Packard. He would go tinker in his garage, and that was his unfair advantage. The neighborhood he lived in and the people he had around him. Shane: Or they look for a variable, what was their magic pill? What makes them different than me that makes them succeed, and me not, basically? Shane: Love, and a loving family. That goes a long way. Jocelyn: I don’t discount that in any way. But we didn’t have some like super-privileged upbringing, is what we’re trying to tell you. Shane: We didn’t have the financial advantages of some other people. We met people that started a business and maybe someone funded it for them, gave them the money to seed their capital for the first business venture, or something like that. We really literally started from nothing. We started life, just a normal total upbringing. When we were starting our business, which we will talk about later, we had nothing. We had no extra money, no extra time, and all we had were a lot of drive and ourselves. That is kind of the moral of the story is, you can definitely rely on that work ethic and those things you’ve learned, you know, the lessons of life growing up from your parents, from other people or whatever and turn that into something successful. While Jocelyn’s values and my values are aligned, and we had very similar socioeconomic and regional upbringings, we could not have been two more different people when we were like, growing up. I was a total knucklehead when I was in school. I was a football player and was kind of a troublemaker. I didn’t do anything too legal but her mom and dad might have had to pick me up from the local police station once or twice. Jocelyn: And how many times did you get kicked out of school? Shane: “Is this a different brother? There’s five of them. That can’t be the same guy.” I always tested really high on the test scores, and then I would make terrible grades or I wouldn’t do my homework, and I just didn’t care about school. Jocelyn: People got mad because you are part of the gifted program, right? Shane: Yeah when I was in sixth grade, they put me in this thing called SOAR, which was like our local gifted and talented thing, where you got to take classes at the high school. Here was me, getting on the bus, this knucklehead who just got suspended from something or whatever I was doing in school, and I’d get on the bus to go over to the– oh, where do we go? We went to the middle school to do those classes, and sometimes we go to high school. You see all these other straight A, smart people. This is how big of a knucklehead I was. Multiple parents literally called and said they did not want me to be in the SOAR program, the gifted and talented thing, because they didn’t want me with their kids. That tells you like what kind of idiot I was. I was just like, man, I just hated the structure of school. I hated the rules, I hate following rules even today. It irks me when I am on a railroad track. I can’t be on a railroad track. I’ve got to be out exploring or something like that. The things that I did love: I love sports. I absolutely loved playing football. I loved media classes. I got to be the producer of our local news show on our high school news program; loved media class, loved editing, love to technology, but from a school perspective, I just hated it. I almost missed graduation because we had to do these portfolio things. We didn’t get it done. I just thought it was the stupidest thing in the world. I hated keeping up with it, and I literally almost did not do it, and my mom and I were like the week before graduation, we were frantically trying to get this thing done. Jocelyn was a little bit different when she was in high school. Jocelyn: Yeah, growing up, I would say– and I know that you long-term listeners, you will totally get this. I was a very high achiever. I have always been a high achiever; I don’t know why. I think that part of it is just my upbringing. My parents didn’t necessarily pressure me; it’s just they always expected us to do our very best. I think honestly, it is just something that is in my DNA, it’s just very important to me to always be a high achieving person in anything that I do. Growing up, I wasn’t necessarily competitive with other people, I just wanted to make sure that I was doing everything that I could do. I generally made straight As in schools I mean, there were a few times that I got a B, and once even a C in Math. Imagine that! Shane: Yeah, once again, long time listeners. We are not so good at the adding and subtracting over here the Flipped Lifestyle World Headquarters. Jocelyn: That is not because you were not intelligent. It was because you didn’t apply yourself. Shane: I just didn’t care. I never did homework. Wait until we start telling you about college, and you hear how many times I went to class. I don’t know how I have a degree, to be honest with you. Jocelyn: Back in school, I just followed the rules, I went along with the plan I didn’t really cause any problems. Shane: Jocelyn was in the band. Jocelyn: I was actually in the Color Guard. I wasn’t in the band. Shane: It’s the band. It is the band. Jocelyn: But I didn’t play an instrument. 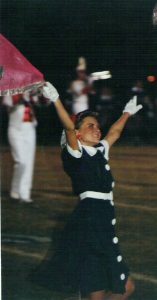 I was in the Color Guard. Shane: It is the band. Shane: Nothing wrong with the band. I’m all cool with the band. Jocelyn: So, yeah. I was just a very straight-laced kind of gal. Had Shane and I known each other in high school. There is no way. This would have never worked. Shane: No chance. No, no there is no way. She would have looked at me, and been like, “Who is this loser-jock-guy that won’t do anything and won’t listen to the teachers and all this stuff?” Yeah, I am so glad. It is funny like the person I became was actually totally different, even when you did meet me because when I was in high school, I had a devastating knee injury. I actually was playing in a football game. I was playing linebacker, and they handed the guy the ball, it was on the three-yard line, and I came running in to fill the gap, to fill the hole that was created because he was going to score a touchdown when they blocked our lineman. I planted my foot, the guy dove for the end zone. My cleats went into the ground. The guy hits my knee and all my weight falls forward with my foot pinned to the ground. It snapped my ACL and my PCL in half. I’ve never felt anything like that since, and I hope I never have to again. I fell backwards. He was laying on my foot, and my teammate went to kill him, he hit me instead, and it literally turned my body 360°. My shoulders were facing one goal post, my toe was facing the other and it snapped all the other ligaments in my leg and that moment basically ended my football career. Over the next couple of years, my first year in college, my last year in high school, I kind of became a different person because I was really down, because I couldn’t play the sport that was my identity anymore. But I started hanging around with different people more, I got away from that kind of jock culture a little bit, it kind of humbled me and mellowed me out a little bit. It’s funny, like that moment in my life, I always point back to for a lot of different things, but if that had never happened to me, as negative and terrible as it was at that time, when I got to the point where I met Jocelyn, it made me a person that I think that she could accept. I’m kind of glad it happened. Not only would that not have sent me down a career path, which I will tell you more about later, that we are in now, we would not have been the right fit for each other. Jocelyn: Yeah, I think that’s definitely true. But I’ll tell you, before we get to where we met, I will tell you a couple other things about my high school career. I think that they are relevant to where we are today. First of all, I told you that I am a high achiever. I always knew my entire life, not even just in high school, but my entire life, I just knew I just wanted something more than what most people in my town wanted. Most people in my town, they wanted to grow up, get a job, maybe have some kids. Shane: Young, get-married-the-day-after-graduation kind of thing. Jocelyn: And you know, if that is what you want to do, I don’t judge you for it. It’s just that I knew that that wasn’t what I wanted for me. I wanted something more. I did not know what that something more was, but I just knew that I wanted something more. Shane: It is also important to remember, too, our environment especially in the rural southern Kentucky, there is really high rates of teen pregnancy. There is really high rates of smoking and drugs and things like that. It’s not this sanitized, you know, everybody is walking up and down Main Street environment. You see a lot of people just check out of life. There is not a lot of people trying to go to the next level. In the entrepreneur community, or when you discover online business, man, you see hustlers, easy grinders, you see people wanting to 10X everything. You see people wanted to change their lives and change other people’s lives, and make a difference in the world. We do not see that. We see 80% of our people that we grow up with and settle. Jocelyn: And that is okay with them, that is cool with them. Shane: For some of them, they may not want to, but they don’t feel like they got the opportunity. Jocelyn: But it has never been okay for me. I’ve just never wanted that for my life. 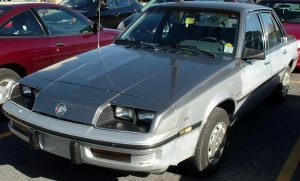 In the early 90s, I mentioned before, that my dad is an engineer, in the early 90s, he realized that having a home computer and being online was going to be something super important. I am so thankful that he bought us a PC back in 1993. I was 13 years old, it had a whopping 4 MB of RAM and a 256 MB hard drive. Shane: That’s big time right there, now. Jocelyn: I have a memory stick right here in my drawer that probably holds a lot more than that. Shane: The light bulb on our roof probably has more memory. The light bulb in the ceiling right now, like one of those LED lights that you can control from your phone or something probably is more powerful than the computer that you had. Jocelyn: It might have had 8 MB RAM, I can’t remember the RAM exactly, but I know that it did have a 256 MB hard drive, it even had a modem. 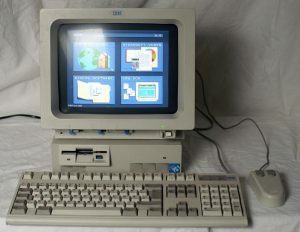 It would connect to these local bulletin board systems that are also called BBS’s. Some of you guys know what I’m talking about. Through a 2400 baud modem. Shane: It might even fit not even the 56K. You know what I’m saying? Not even your phone modem. I don’t even know what baud means what is a baud? Jocelyn: I think I could, seriously, crawl faster than this transfer data. Shane: You could write down your message, and run it to the guy on the other end of the bulletin board system and come back. Shane: Maybe we can find that. Jocelyn: –and put it in the show notes for today like what it would look like to load a website in 2400 baud. Of course, at the time, it was just text but there wasn’t even like any pictures or anything. Shane: But just early computers experience like that at the birth of the Internet, basically. Jocelyn: But I learned to communicate with a computer. We didn’t even use Windows. It was like old school DOS operating system, I learned how to use that. That was like invaluable experience for me just as a kid, learning this on my own, I didn’t have any instruction manual. Shane: That was a major investment at that time for your dad and mom who didn’t have a lot of disposable income to do that. Jocelyn: They just recognized that this is going to be something super important, and they went out on a limb and did it, and I am so thankful for that. That is one moment in my life that I think was just critical to my future success. But my very first online experience was on the coal mine BBS. It was a local bulletin board system just where local people would talk, and we logged in there. Shane: This was pre-Facebook. This was before Facebook, folks, or MySpace or anything like that. Jocelyn: And we went and met the sysops– the system operators– we went to meet them in person, like we knew them, it was just a good time. If you are on BBSs back in the 90s, it was good times. Shane: I think I had a similar experience. My dad is old-school. My dad was born in the 40s right after the depression era, and wasn’t super into the technology; still isn’t today– I’m pretty sure his computer at office was Windows 98 or something. Jocelyn: He may be using a flip phone. Shane: He is using a flip phone, and I’m pretty sure he is like still using Paint and stuff. He always made sure we had those things. Not just from a kid perspective, but he wanted us to be familiar with technology, and it was cool because I had friends that had computers. I remember my cousin; his dad was like Jocelyn’s dad. He was a postman. He was a post office guy, and he didn’t understand really the computer, but he felt like he wanted to give his kids a better opportunity. He was going to buy a car or that computer, and he bought that computer. I’m so thankful that he did it because I would walk up to their house to play Wolfenstein 3-D and learn how to type. But I learned how to use DOS. I think having some kind of technology background for sure was one of those dots that we connected later and at least we spoke the words, the language and things like that. I’m not saying you’ve got to have technology background to do that. Jocelyn: But it didn’t hurt. Shane: We used an unfair advantage there. Hey, we were exposed to that when a lot of kids, especially in our area in Kentucky, were just not being exposed to technology. Jocelyn: So I spent a lot of my high school days being obsessed with this PC. I mean obsessed. I would start taking programming classes. That is something they offered at my high school which is really kind of unusual. There weren’t a whole lot of people in those classes. Shane: We had typing. We had keyboarding on computers, was the most advanced computer thing you got. Jocelyn: We learned keyboarding, too. I learned keyboarding in middle school, but when we got to high school, we had a very limited selection of business classes. One of those classes was computer programming. I am like, “Alright, I’m signing up for this.” I learned basic, and then I moved on to Pascal, and then started learning some C++ which is actually still used today. Now, do I still remember it? No. For a variety of reasons but anyway. I learned those programming languages, and I started learning more and more about computers and they started getting more and more sophisticated. That was a cool thing about it is that, I just kept up with that and kept learning and kept getting better. Shane: When you went to college, you were trying to be a programmer at first right? Jocelyn: Yeah, and I’ve got some story about that as we move into the college days, but yeah. Honestly, when I was in high school, I counted down the days until I could go out to college. It wasn’t because I had a bad home life, I had a fantastic home life, it was just because I wanted something more. I didn’t even know what that something more was. I just wanted something more. I was ready to get out. Shane: And Jocelyn left her hometown. She moved to Lexington to go to University of Kentucky. She was 17 because Jocelyn is really smart, and she like, skipped second grade something. Jocelyn: I skipped first grade. Shane: First grade, whatever. She skipped a grade. She was she literally turned 17 in March of her senior year, that summer– can you imagine having a 17-year-old right now letting them do that– would you let your kids do that? Shane: Because they will meet bad people like you, Shane, they’ll be bad influences like you. Jocelyn: Hey, I loved Ethel. I cried when I traded Ethel in. Shane: I’m pretty sure it fell off, like literally. We were driving, and all of a sudden you’re like, “Oh, it’s a car,” and then it goes, wah-wah-wah-wah-wah because it is terrible when the muffler is not on the car. And we’re like, “Did the muffler just fall off?” And she’s like, “I saw sparks. Yeah, I think so.” We had to go back to Jocelyn’s hometown for the weekend or something, and I think my car was broken down or something, too. Something was going on, so we drove her car there, and we went all the way back to her hometown, like a three-hour drive with no muffler. That was bad on the ears, that time. Yeah. It’s funny you say that though, because we’re about to go to the next phase here, but Jocelyn looks back, and you’re so systematic now and process-oriented and things like that, and that experience with the computers that you had, you were drawn to that, like you said, you were obsessed with it. I think about going back to high school. I just hated school, and I think about the things that I did like. I liked to be talking and argumentative, so I really loved history, political science and debate-style classes. Also, I loved those video editing classes. Anything where I could take my imagination and be creative, and it’s funny how we both, even in our business today, if you look at our roles, how you connect the dots, and it gravitates toward those things, you do deal with a lot of the systematic process stuff. Even the technology stuff, you talk to our Infusionsoft contractor, and things like that, where I’m doing more like producing the kids’ YouTube channels, and working with our editor to make things sound and look right, and it’s funny how some people I think that are listening right now may not be connecting all those little things that you take for granted that you could use to build some kind of epic life and business out of, basically. 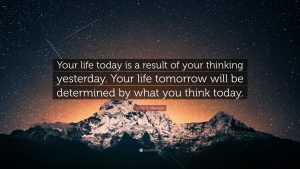 Jocelyn: You know, just remember that when you start looking back at things to affirm your life, there are experiences that are beneficial for you as you move forward in your online business, or whatever it is that you are trying to do. You might not even think about it right now, but as you think back, then you just remember, that hey, this experience happened for a reason, and maybe it can benefit me in the future. Shane: I think that what’s really important about that part of our journey, too, and your journey as you are listening to this show is knowing that there is something else, and knowing that you want something else is the most important part of this entire formula, this entire process because you take our parents; our parents– we’ve already said, they were really, really hard workers– they all built lives out of nothing, basically. They didn’t have a lot, but they kept building, kept stacking. They didn’t really know outside of our community. They didn’t really know there were other jobs out there. They didn’t really know there were other things that they might be able to do or grow. We didn’t really know that until maybe five or six years ago, when we started our journey. We just thought it was, this is the way life was. The world told us we need to get jobs, we need to be secure, we need to safe, we need to be stable, we need to prepare for the worst case scenario all the time, and just hang on and wait until retirement or whatever. But when you make the decision, I want something else. When you make the decision, I would like to model that person, I think I could do that, too. When you look around in your life, and you say, “There’s more to this; I can go do this.” And you’re like Jocelyn when she leaves, when she’s 17 to go find out what that is, or me getting frustrated and bored with what I was doing, and saying, “No, I’m going to go out and pursue another career,” that’s the most important part of this whole thing. What we’re telling you here is: everything in your life, every experience leads you to a moment where you want something more, and then take action to go do that. You have all the equipment, all the tools built inside of you whether you know how to use computers or didn’t, whether you played sports or didn’t, whatever it is, and you can make something happen out of that if you put all of those puzzle pieces together. Guys, that’s the first part of our journey, the first part of our lives. That’s the backstory of how Jocelyn and I grew up, and next week, what we’re going to get into is actually going to college, where we met, and how I knew that I was going to marry this beautiful girl across from me on the microphone right now, I knew it. I knew it from the first time I saw her, and she did not quite know it yet; she resisted the magnetic pull of my romance. Jocelyn: Can you blame me? Shane: That’s what we’re going to get into next week. We’re going to talk about basically how our lives, our paths crossed, and how we got into our relationship, and how we dated for seven years almost before we got married, and all that stuff that kind of kicked off the journey that led us to where we are today. As we go through this journey, you’re going to learn about how we started online business, how we built our online business, how we made it happen, but what we really want to do is just inspire you. We have so many examples in the entrepreneur community. You see these young, single millennials, or you see these people that are living in Thailand off of $8.00 a week, or you see these people who work 95 hours a week and they are swearing and they are cussing and they’re screaming about how you’ve got to be a hustler, a grinder, and do this and do that. But we want to just show you our story so that you can be inspired and realize we are just normal people. You are normal people, but you can do extraordinary things when you really set your mind to it, and you really want to flip your world upside down. 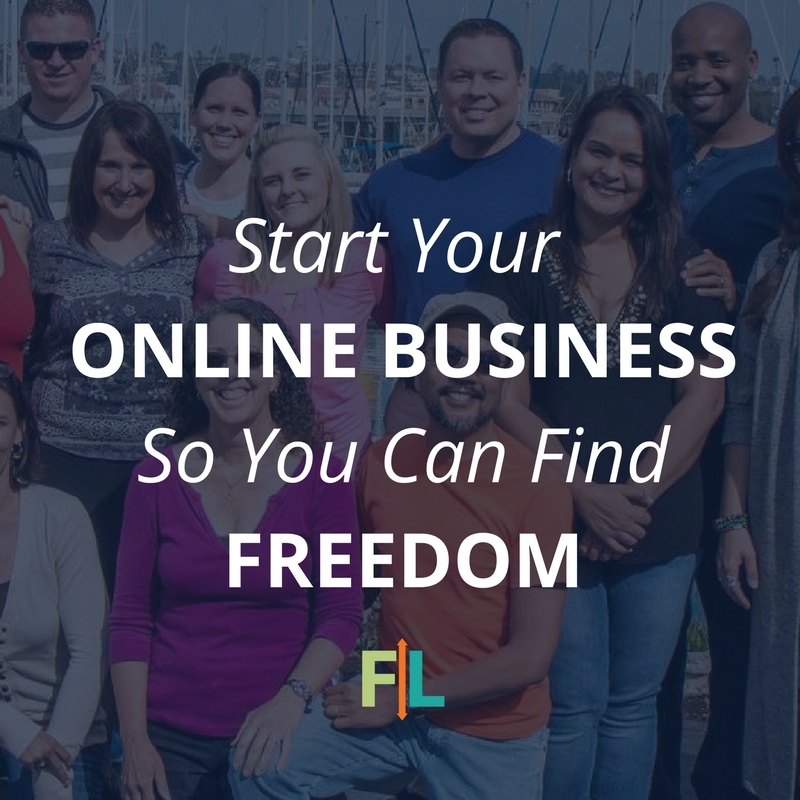 You want to flip your life, you want to try to live the Flipped Lifestyle, and you want to make a change that not only changes your life, but it changes your family tree, and your kids’ lives. That is the point of these, I hope you are enjoying this. We will be back next week to give you the next step in our journey. Hope that you guys get a lot out of this, thank you for hanging out with us for a little while, and we can’t wait to see you again next week.